7. 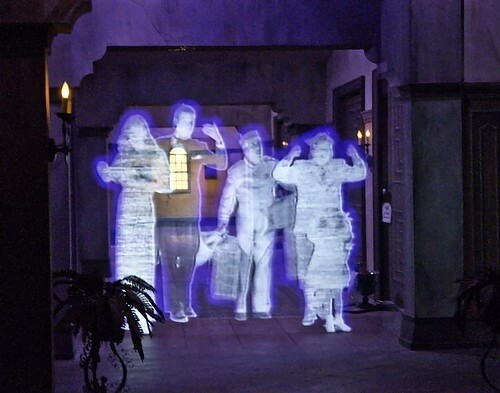 The Twilight Zone Tower of Terror – Guests who wander down Sunset Boulevard are drawn in by the massive building that looms at the end of the street. As guests get closer, they realize that something is terribly wrong with the Hollywood Tower Hotel. The crumbling building is home to The Twilight Zone Tower of Terror which tells the fateful story of the onetime bustling and glamorous hotel. Guests move through the cobweb filled lobby into the library where they are greeted by host Rod Serling who explains that five guests mysteriously disappeared into The Twilight Zone one night many years before after their elevator was struck by lightning. Guests soon board maintenance service elevators and are soon under the control of the tower and in The Twilight Zone. The attraction features some eerie effects and a completely randomized drop sequence where each experience brings a different series of lifts and drops to keep guests guessing! The Twilight Zone Tower of Terror is a popular experience with guests and best enjoyed with a FastPass to avoid losing lots of time spent waiting on along queue.